I've been enjoying running since Leadville. Not that I don't always enjoy running, because I do. Lately, though, I've been running a lot with our dog, Nick, a golden retriever "puppy" (he's about a year and a half old and loves to chase rabbits), and enjoying being outdoors and watching him get in really good shape. In a few weeks, if the weather and conditions permit, Nick will go on his first outing to the Colorado high country. Running a lot with Nick, I haven't been paying too much attention to pace. That said, there have been times over the past few weeks that I've really gone hard--as in race effort hard--in a few runs. A few of my Strava "course records" in Parker were recently beaten and I've been pretty diligent about getting all those CRs back, which has meant some hard efforts. As a pretty competitive person, I enjoy the challenge of getting the CRs back. I love to run fast, really push it and spend some QT in the pain cave. It's hard to say what I'll do with the rest of the year. At this point, I'm still leaning toward the Rock 'n Roll Denver 1/2 Marathon in October. I ran a 1:25 at the Highlands Ranch 1/2 Marathon two weeks after Leadville, so I think a 1:23 or better at the RNR Denver 1/2 is possible. That may be it for the year. I really want to do shorter, faster stuff, along with weight training, for the rest of 2013. I'll probably start Maffetone Method training in early January and stay with MAF and weights through March. I see no need to start MAF anytime before January 1. Somewhere in there, maybe before Christmas, I'm going to take a full week off from running. 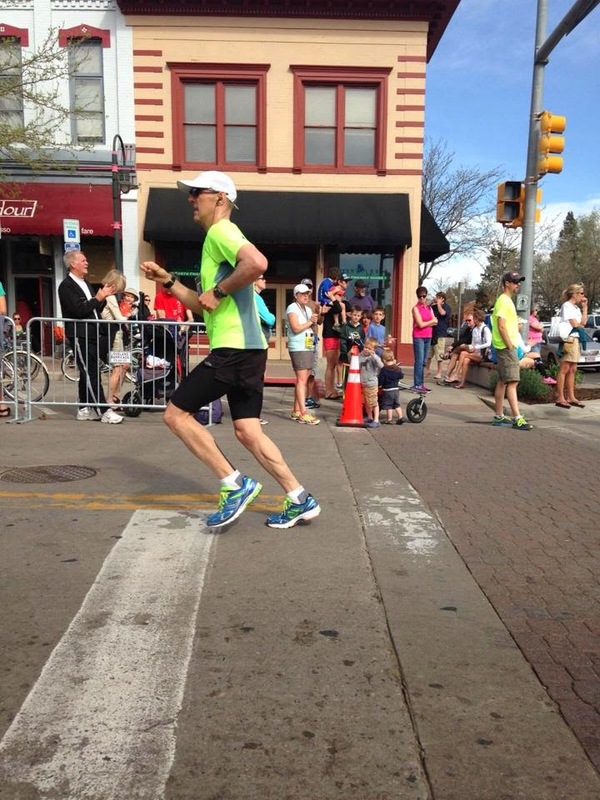 Colorado Marathon: Early May. This would be my spring A race and I'd go for a sub-3 hour there. I really want another sub-3, even if it's a 2:59. I would need to average 6:50/mile, which seems doable with the proper training. Mt. Evans Ascent: Mid June. I had to miss Evans this year due to family scheduling stuff. I really missed it. 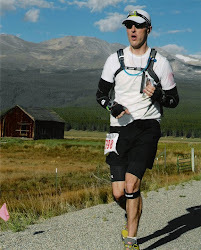 Leadville Marathon: Late June. The LT Marathon is an annual tradition for me. It will be hard to beat the 4:19 I threw down there this year. 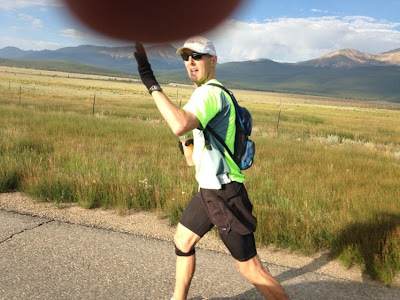 Leadville 100-Mile Run: Mid-August. The big one. Will go for my fourth sub-25 buckle. Although my chances of being selected in the Western States lottery are slim, I think training for and participating in "the super bowl of ultrarunning" would be fun. I would enjoy the challenge of a very hot weather race with a ton of downhill, a little (but not a lot of) elevation sprinkled in and some quality climbing. I can see myself now running in place in a sauna. In fact, I've half-jokingly asked my wife if we can add a sauna to our basement remodel plans. If no sauna, then exercising in our garage and driving around with the heat on in June will do. 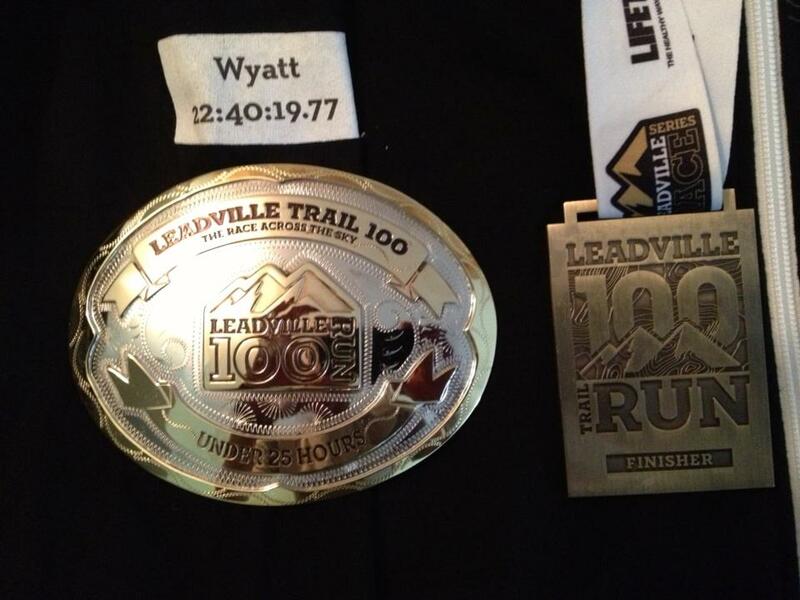 I've more or less decided that I want to go after the 1,000-mile buckle at Leadville. Leadville took some heat for race-day issues this year, but at the end of the day it's still a premier 100-miler and it's an epic experience in the beautiful Colorado high county. I can't imagine being anywhere else in mid-August. It would be cool if all ten buckles were sub-25. I think it's possible. I already have three and need just seven more! Last Monday I ran the first annual Highlands Ranch Half Marathon. I entered the race to help raise money for someone we know who is undergoing treatment for a very serious form of cancer. But of course I didn't joy-run it (that's just not in my nature). I finished 11th overall out of 636 starters, crossing the line in 1:25--good for 6:33 pace. This was my first half marathon in more than five years! Although 1:25 is three minutes off my half-marathon PR, I was pretty pleased with my result, given that I'd run the Leadville 100 two weeks prior and I didn't do much fast stuff over the summer. I passed easily 25 runners along the way and didn't get overtaken a single time except in the first few hundred feet. I definitely felt the 100 at about the mile 7 mark of the half. But fortunately I did a decent job of holding pace and finished strong. It's a downhill, point-to-point course but it gives you a decent climb at mile 12 to keep things honest. Personally, I think point-to-point courses are the best. Interestingly, my average heart rate for the half was 148, with a max heart rate of 158 on that last climb before the finish. My MAF zone is 136-146, so I was pretty much right in it for the whole race. It seems to me that half-marathon pace should be 10-20 beats/minute above MAF. For the past few years--and really since I've been running--I feel like there's been an imbalance between my aerobic fitness and strength, despite the fact that I've always done a good job with tempo runs. (Admittedly, this summer I didn't do as many tempo runs as usual since I was on the trail every single day.) My aerobic fitness appears to be very good, but for some reason my legs just can't seem to keep pace. I need to figure out the reasons for this imbalance and correct it. A big part of me thinks my tempo runs have been too hard. Maybe I need to relax the pace a bit and stretch it out longer. Anyway, the Highlands Ranch half left me pretty sore. I'll probably do a few more races this year. I'm interested in the El Grito 5K next weekend, the Highlands Ranch Backcountry Half Marathon in early October and the Rock 'n Roll Denver Half Marathon in late October. I really enjoy the half-marathon distance and right now I'm just not feeling motivated to do any ultras. And speaking of the Denver Rock 'n Roll, someone told me that if you drop out of any Rock 'n Roll race they'll give you a ride to the finish and you can get a finisher's medal despite the fact that you really didn't finish. I didn't believe this, since it goes against EVERYTHING I believe in and stand for, but then I heard another person say the same thing. Is that really true? I guess if this is true, then it's probably also true that they give finisher's medals to those who drop. In all seriousness, if it's really true, it's hard to believe a race would do such a thing--and it makes me kind of hesitant to take part in the Rock 'n Roll "trophies for everyone" circus. That said, I'm not one of those ultrarunners who thinks the world revolves around the "elites." Recently, a new international ultrarunning series with points and sponsors (and lots of question marks, too!) was announced, and the series involves some pretty big races like the Western States 100 and Ultra Trail du Mont Blanc. This appears to be an attempt to bring some structure to the sport. Personally, I'm not a big fan of efforts to organize a sport that for decades has more or less functioned in the shadows. I'd rather ultrarunning remain low key and small enough so that everyone knows everyone and there's love out there on courses. Sadly, I think that's a pipe dream. I think there are folks who are pushing as hard as they can to make ultrarunning something I believe it was never intended to be. It's almost as if we're embarrassed that our sport is so grassroots and down-home. Be that as it may, I think efforts to organize the sport and bring more corporate participation to it will "work" for a few years, but I don't see them being sustainable as there's just not enough money to be made for sponsors and the sport just isn't that spectator-friendly. I believe that in almost every case where corporate interests and money can be found, there is corruption and greed. We'll see. It wouldn't surprise me if ultrarunning eventually implodes and then comes back as it once was. If at some point I find myself dissatisfied with the direction of things, then I'll turn to other endurance endeavors, like multi-day, self-supported jaunts on the John Muir Trail. At this point, I'm still undecided about returning to the Leadville 100 in 2014. It all depends on whether or not Lifetime Fitness addresses the problems we saw this year. I am definitely entering the Western States lottery and, if by some miracle I get in, then that would be my focus race in 2014. If I don't get into Western, then I may consider a few other races that would include Leadville. I had thought seriously about Wasatch, but it's pretty late in the summer and this whole debacle left a bad taste in my mouth. We'll see what happens. Well, my recovery from Leadville so far has been incredible. I have zero muscle soreness and feel fresh as a daisy. My knees are still a little achy but otherwise I'm A-OK. I think this is all due to the big volume I put in over the summer. When you're in good shape, you recover quicker. In thinking about what went down last weekend, I'm really just so glad I finished the race. A time of 22:40 (even as I still believe I was in sub-20 or at the least sub-21 shape) is quite good--all things considered--and I'm glad I was able to battle through some tough spots, including my horrible puking episode at the Hopeless aid station. Mostly because of cramps and stomach distress, I spent seven hours on the Hope Pass double crossing--an hour and fifteen minutes more than I should have. I felt pretty awful for the first 65 miles and then broke through and had a strong final 35 miles in which I passed probably three dozen runners and literally ran up the Powerline climb (something very few runners do that late in the race). While I'm still pretty competitive at heart, I'm thrilled to have finished Leadville, because I know how painful it is to DNF your A-race. 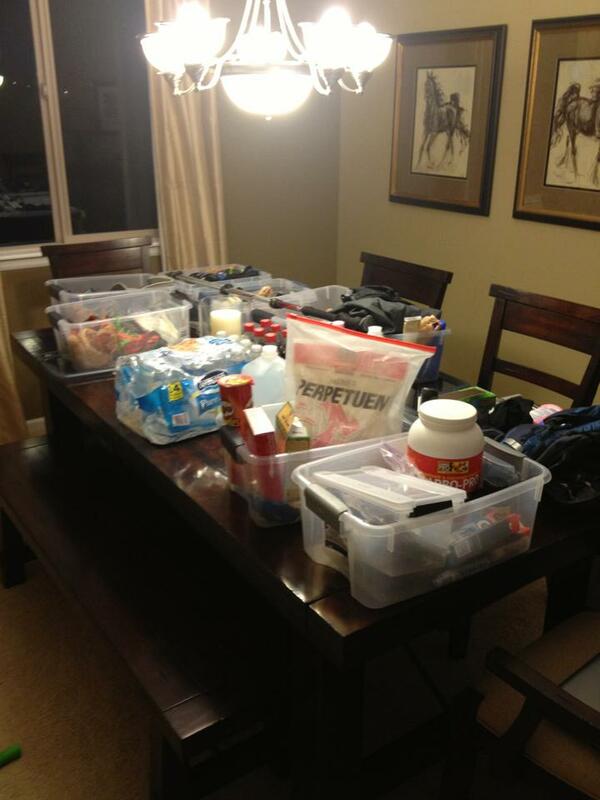 In thinking back to the race, I realize my nutrition strategy at Leadville is still far from perfect. It's very hard to eat at 10,000+ feet! After four races there, it's ridiculous that I still haven't figured out a good nutrition plan. Whereas Perpetuem seemed to work well for me in 2011, this year it was a disaster. I'm really intrigued by GU Roctane and will give it a try this fall. It may be the ticket for next year--I hear it's packed with calories (240/serving), good-tasting and fairly light. Whatever the case, I simply have to find a way to get 300 calories in me every hour. So, going into 2013, I'm adding "figure out nutrition" to my to-do list. It's a huge need. As for what I may do for the rest of 2013, I'm seriously considering the Rock 'n Roll Denver Marathon in October. If not that marathon, then maybe the half. Other races that cross my mind are the Run Rabbit Run and Bear Chase 50-milers. I would pick just one of those three races. I'm most certainly doing a local 5K in a few weeks--it's an annual tradition for me and it's for a good cause (raises money for soldiers). I know my speed is lacking right now, so I won't go into the 5K with huge expectations (sub 19 would be nice). I'm also going to hit the weights soon and work on my hips, glutes, hamstrings and quads. I think the weight training I did last winter had a huge payoff. Plenty of skiing this winter will provide some needed cross-training benefits and a bit of rest. 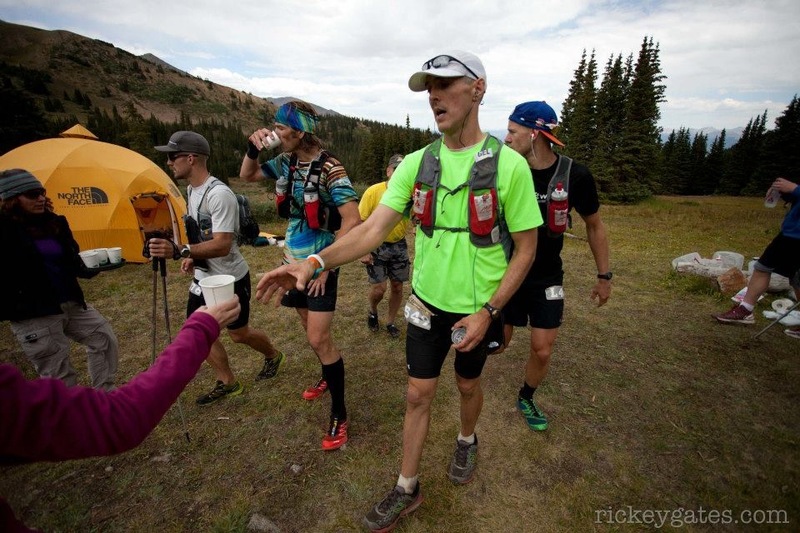 In closing, I want to send huge congrats to Scott Jaime on setting the fastest known time on the 486-mile Colorado Trail. 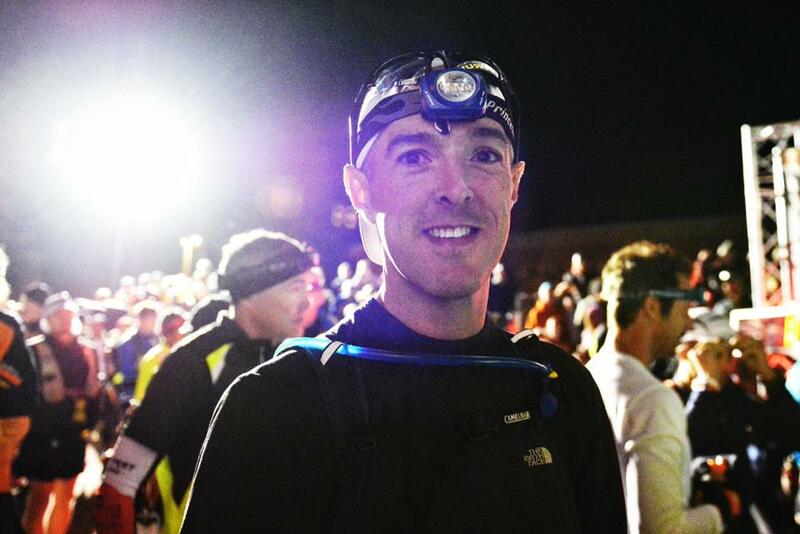 Scott lives in Highlands Ranch and is a tremendous runner, completing many Hardrocks and finishing third there this year (he finished second behind Kyle Skaggs in 2008). Scott finished yesterday (Saturday). Here's a short video of him after he finished his eight-plus day trek on the CT. I love Leadville. I love the town. I love the people. I love the race. I love the course. I love the mountains. I even love the annoyances. There will never be a perfect race. Yes, Lifetime Fitness, which took ownership of the Leadville Race Series in 2010, has allowed some issues to get out of hand. For one thing, the field is now way too big and the race infrastructure and local roads simply can't support a thousand runners and their crews out there. But let's give Lifetime the opportunity to assess what happened over the weekend and do the right things--because I believe Lifetime is now facing its "come to Jesus moment" with the race. I for one very much hope the process will involve direct engagement of runners, crew members, locals, law enforcement and others closely associated with the race. Whether or not I return to the Leadville 100 as a racer next year is yet to be determined. I've already booked a cabin for the weekend, just to be on the safe side. Honestly, it's hard for me to imagine myself anywhere else next August, even as I readily admit there are several other races that interest me (Angeles Crest, Wasatch, Western States, the Bear). I do plan to enter the Western States lottery, but I doubt I'll get in, and it's not like the other races I'm interested in are easy to get into, either. 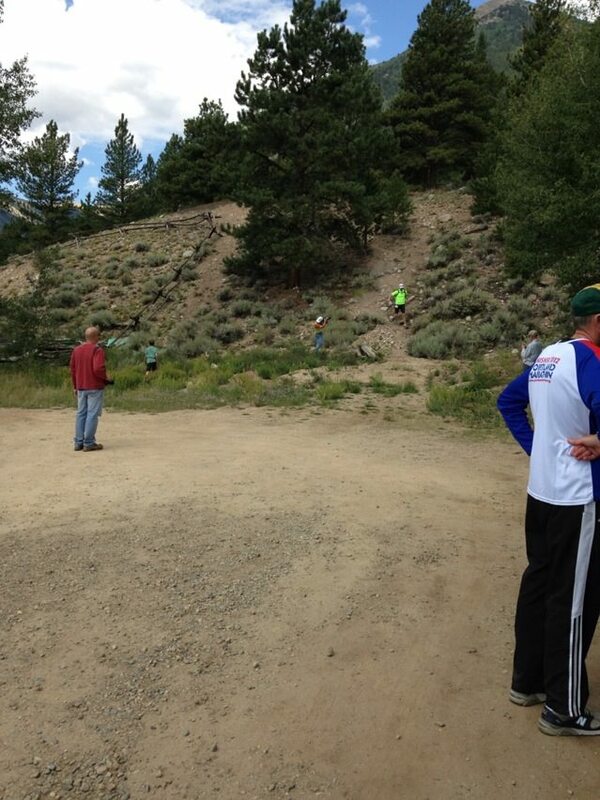 As a parting shot, I hope the Leadville race organizers speak up soon. 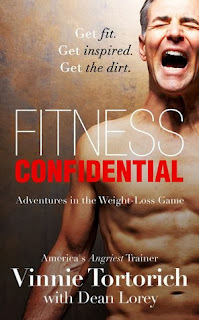 There's a lot of criticism swirling right now and Lifetime Fitness needs to respond meaningfully very soon. Some task forces will probably need to be created in order to address some problems (and I'm more than glad to participate in the process). Whatever happens, I hope Lifetime engages the "Leadville nation," rather than try to fix everything itself--because that's a recipe for failure. Even as the Leadville Race Series is owned by Lifetime, it's really owned by the town of Leadville. And it always will be. Note to reader: This race report is evolving. Please check back for new content! 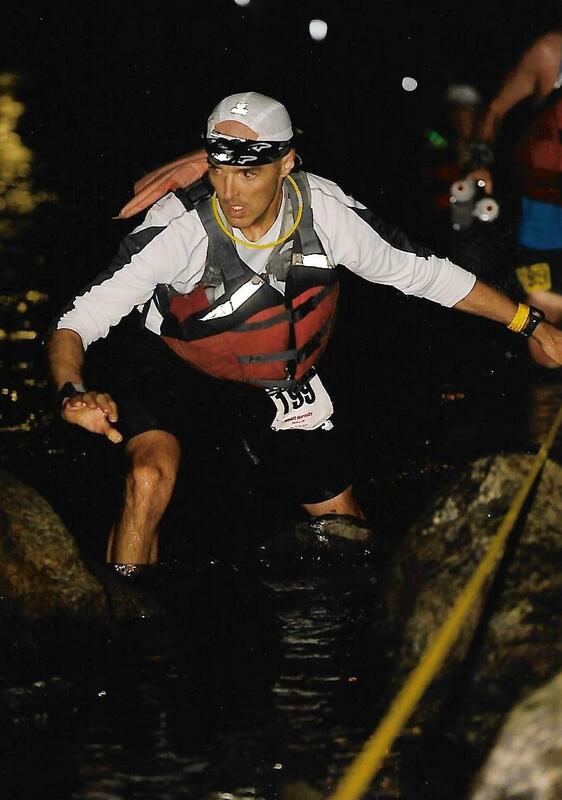 If there's one thing I've learned from racing 100-mile mountain races, it's that they don't get any easier. They strip you down to your core, leaving you with little more than primal instincts. When you're out there running 100 miles, nothing matters except the task at hand. At 2:40 a.m., I finished my third Leadville 100 run with a time of 22 hours and 40 minutes--five minutes off my 2011 Leadville PR. That was good for 39th overall out of a ridiculously bloated field of 943 starters (over 1,200 signed up!). Given what transpired earlier in the day, it's incredible to me that I even finished the race, let alone ran the grueling Powerline climb 80 miles into the race. At the start. Photo by Rob Timko. First things first: Having my family there, once again, to support me meant everything. I draw so much inspiration from Anne and our son, and words just can't describe what it means for my mom and dad to be there for me. As I've already written, no matter how old I get, my mom and dad will always be...my mom and dad. They are always there for me. I hope one day my son looks at Anne and me the same way. Not long after leaving Outward Bound inbound, mile ~25. The first 65 miles of the race were pretty awful. When I came into Twin Lakes inbound (mile 39.5), I felt queasy and achy all over. My running to that point had been flat and uninspired. After the training I put in all summer, this was not how my race should have been going! Having fallen hard a few miles before coming into Twin Lakes, and with a broken Cambelback that made sipping water a tedious process, I was starting to get preoccupied with negative thoughts. Things were going badly. Nevertheless, with my new Ultimate Direction hydration pack (AK style) now on, I set off for Hope Pass wanting to get it on with that mountain. Descending into Twin Lakes, mile 39.5. Alas, Hope Pass was a disaster. I struggled up the front side, a 3,400-vertical foot climb to the 12,600-foot pass, and fought excruciating cramps in my quads (as I did last year). Given how I trained all summer, I should have nailed this climb. Fortunately, I managed a decent descent and I felt pretty good on the trail going into Winfield--the halfway point of the race. My time into Winfield was about 9:35, forty minutes off my "stretch" goal. It was a tad warm in Winfield. There, I met up with my family and Chuck Radford, who would pace me back over the mountain. It's the realization that you have to go back over a 12,600-foot mountain pass that causes many runners to DNF in Winfield. But "DNF" wasn't on my mind in Winfield. I was fortunate to have Chuck joining me at that critical time in the race. 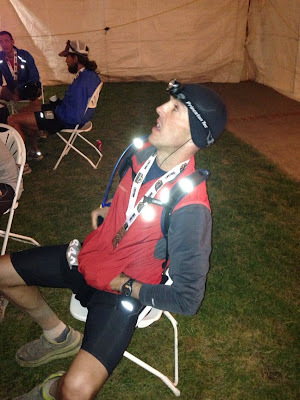 He finished sixth at the Silver Rush 50-mile run a few weeks prior and has a marathon PR of 2:42. Yeah, he's quite capable. Arriving at the Hopeless aid station inbound, mile ~44. Photo by Rickey Gates. Chuck and I navigated the rolling Sheep Gulch Trail, which connects to the Hope Pass climb, pretty well and I felt in decent spirits. He's a very upbeat guy and offered encouragement at just the right times. Despite my good spirits, the climb up the backside of Hope Pass was hideous. I couldn't seem to get in a rhythm, in part because there were way too many damned runners out there clogging up the narrow trail. As it was, I was climbing the mountain with several hundred runners coming down en route to Winfield. Halfway up the mountain, a guy came barreling down on "my side" of the trail, totally out of control, and crashed into me, nearly causing me to fall down the mountain. He was obviously a newbie and didn't have a clue how the trail is supposed to work. A few choice words were exchanged, which is really unfortunate, and then we were back on our way. At some point, the race organizers have got to make some tough decisions about the size of the field (the subject of a future blog post). Simply put, I thought we would never get to the top of Hope Pass. 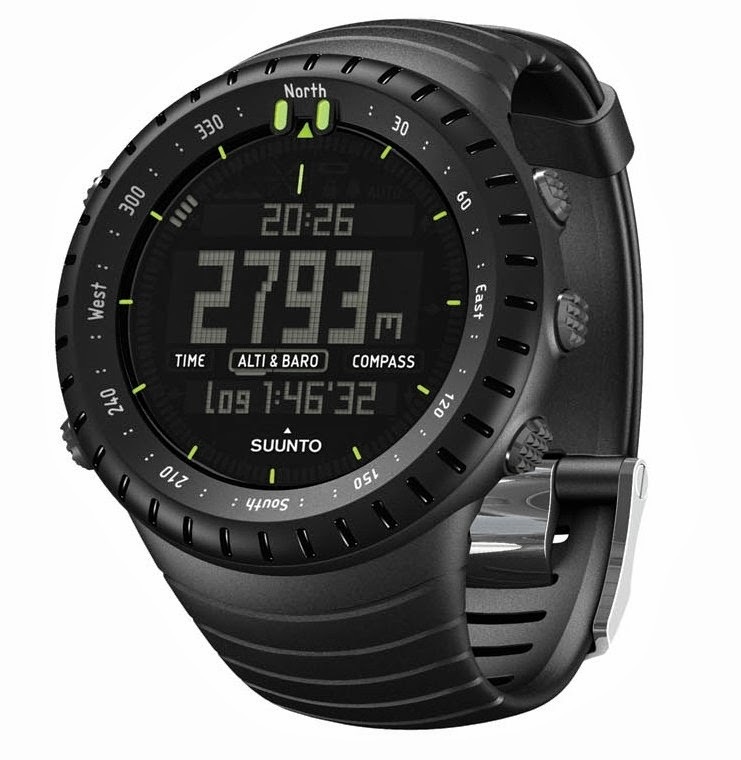 This is a grueling 2,600-foot climb that is steep and never-ending. I felt like I was moving in slow motion and my quads were pissed off big time. The two-way traffic is far and away the worst part. But, at last, we got to the top and then started a very slow, labored descent. By this time, I started to feel extremely queasy and on the verge of throwing up. Finally, we arrived in the Hopeless aid station, situated at about 12,000 feet. The supplies at Hopeless are brought up on llamas! I took a few sips of something (don't even remember what) and then started puking in the tent while Chuck refilled my bottles. I puked easily 15 times. Chuck said my eyes were glazed over. Finally, the medical personnel took over. The lady running the show told me she needed eight minutes to get me back on track. I said I didn't have eight minutes--I need to get on my way. She got really feisty with me and used some choice words to get my attention. I could see she was sincere and wanted to help me. Before long, I was back on my feet and Chuck and I hobbled down the mountain. My quads were on fire. Clearly I'd bonked. Going across the meadow back to Twin Lakes, I had serious doubts about finishing the race. I entered Twin Lakes around 5:15 p.m. (which is way later than planned) and was greeted by JT, a five-time Hardrock 100 finisher who offered up some serious encouragement. JT told me that it would get better and that I had to keep going. 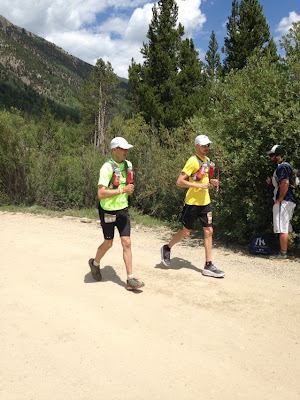 He understood where I was mentally and physically, and he also reminded me that your odds of finishing Leadville go up dramatically if you can get out of Twin Lakes. I sat in a chair surrounded by the crew and feeling utterly hopeless. I elected to go with my Hoka Stinsons shoes because I felt the cushion would help. Finally, I got up and Scott Williams and I started the next leg of the journey. Scott would be pacing me to Outward Bound, mile 75. The hike out of Twin Lakes was awful. I had no energy and was in a bad mood. Just when I thought it couldn't get any worse, I turned my right ankle on the side of the trail. The pain was excruciating and I told Scott this was it--I would DNF at the Mount Elbert water station. Scott tried to talk me into continuing, and finally I agreed to go to the Pipeline crew station, which is at approximately mile 72. Right around mile 65, with my legs completely dead and runners passing us left and right (this was the true low point, in my opinion), Scott talked me into eating some Fig Newtons. I hadn't really had anything since puking at the Hopeless aid station. I downed the newtons and then, incredibly, started to feel some energy returning to me. We began running and my ankle started to improve. I just basically buried the pain and tried to forget about it. Before long, I was putting in sub-9-minute miles (mind you, this was more than 65 miles into the race and at over 10,000 feet) and we were cruising along on one of the more runnable sections of the course. I felt reenergized and wanted to pass all of the runners who'd overtaken us earlier. We did! And my cushy Hokas made it all the easier! The last 35 miles of the race were fun. I was in the zone. According to reports, apparently my splits from the Half Pipe aid station to Outward Bound and Outward Bound to Mayqueen were among the fastest of the entire race (for anyone). Scott and I passed a ton of runners from miles 65 to 75. I felt indestructible and fresh as a daisy. I'm sure the 20 ounces of Coke I consumed at Pipeline, thanks to my wife's good thinking, made a difference. I also allowed myself an ibuprofen to help take the edge off the pain in my ankle, feet and legs. race, but he's quickly become a close friend. At Outward Bound, I picked up Chuck for the second leg of our journey together. We ran up the road, past the Fish Hatchery, and then entered the trail connecting to the infamous Powerline climb, which has spelled doom for many a runner. Unlike previous years, I was excited to be on Powerline. By now, I felt the benefits of my hard training all summer and knew I had Powerline by the balls. We ran several sections of the big climb and passed well over a dozen runners--the best moment I've had in a 100-miler since 2009. 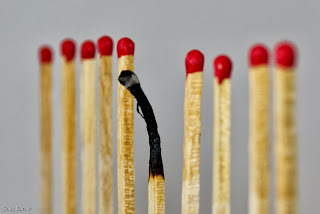 I was on fire and I had all the confidence in the world in that one moment in time. Once at the top of Sugarloaf Pass, we started the long descent to the Colorado Trail and we ran every step of it. Once on the Colorado Trail, a gnarly section in the night, I decided to run the runnable stretches and hike the really rocky patches so as to avoid turning my compromised ankle. Chuck agreed that it was a good strategy. I looked down at my watch and noted that we were making up a lot of time. As I said to Chuck, "I can't change the fact that Hope Pass took 7 hours [it should have taken more like 5 hours, 45 minutes]. What I can control is how I run the rest of this race." We got into Mayqueen, mile 86.5, around 11:15 at night. The place was electric. Needing a jolt, I swigged some Coke and then immediately began puking again. I puked 5-10 times and then was directed to a cot, where I proceeded to puke some more. In between pukes, I talked briefly with Gary David, the co-host of Elevation Trail. One of the medical volunteers offered me an anti-nausea pill, which I learned would DQ me. I refused the pill and was actually kind of irritated that they didn't first try to help me get back on my feet before offering me assistance that would mean a DQ. A DQ at mile 86.5 should always be the last resort! Fortunately, the puking stopped and we were back on our way--the finish line a little over 13 miles away. Leaving Mayqueen, Chuck gave me a ginger chew that seemed to work well. We ran probably two-third of the stretch from Mayqueen to the Tabor Boat Ramp (mile 93), hiking only the super technical stretches in order to protect my ankle. In the process, we passed a few runners. I was still feeling good but I could feel my strength starting to taper off. Chuck offered many words of encouragement and stayed on my case about drinking. After the Tabor Boat Ramp, I simply couldn't run as much as I wanted, and so we down-shifted into power hiking mode. Whenever we came upon runners, I began running in order to pass then, and then we started walking again once we'd overtaken them. The last seven miles are mentally taxing, especially the long Boulevard section that seems to go on forever. I also would be remiss in not mentioning that the descent on "mini Powerline" in the pitch-black dark was hideous. But that's Leadville. It ain't supposed to be easy, folks! Turning onto Sixth Street, with the finish line about a half-mile up the street, I felt pretty destroyed physically but quite mentally engaged. No one was behind us so we hiked up the street. Anne greeted Chuck and me about a quarter of a mile from the finish. She was really excited and proud of me for finishing so strong. Knowing that my wife was proud of me for gutting it out and then turning the tables on a rough patch made me feel so good. I'll be honest here: When you're a guy, there are few things better than knowing your woman is proud of you. With the finish line about 100 yards away, I ran in, overwhelmed with joy, pride and relief. I had finished my third Leadville 100 and earned my third big, sub-25-hour buckle. I was overjoyed! Last year's DNF was behind me! Overjoyed in the finishers' tent. At the finish line, Anne, my dad and Chuck took care of my needs, helping me to the tent for some warmth and then to the medical tent for some Tums to relieve my sour stomach. Although I figured puking after my finish was imminent, incredibly I never barfed after crossing the line. along with my finisher's medal. There are many takeaways from this race that I'm still processing. I will say that in my darkest moment, when I felt tempted to DNF, I ultimately decided to stay in the race because of my son. I didn't want to let him down by quitting when things got tough, and I also didn't want to let down Anne, my family, Chuck and Scott, everyone who was pulling for me, and the readers of this blog. My refusal to give in ultimately paid off big time. I am forever indebted to my family, Chuck and Scott for being out there to support me. Thanks to their love and support, I fought through the lowest of lows and came back from the dead. The last 35 miles of that race were awesome and some of the best miles I've ever had. I feel like those last 35 miles were something of a psychological breakthrough with Leadville. As to why it took me 65 miles to get in a groove, I have no answer to that. In time, I hope to work through what went right and what went wrong, because I believe there's a lot to be learned in my race. 137 finished under 25 hours (14% of all starters and 27% of all finishers) - I'm d to be in this select group! I'll write more in the coming posts. Just like that, the Leadville 100 is now six days away! It seems like yesterday I was sitting in my car in Colorado Springs one cold January morning signing up for the race only seconds after registration opened. Now, eight months later, the moment of truth is only days away. Leadville isn't the only significant thing going on in my life. At the time of this writing, tomorrow I start week two in my new job. I'm working at Delta Dental of Colorado Foundation as director of a public will-building campaign focused on improving children's oral health in the state. It's a great job and Delta Dental is an excellent company. I'm very fortunate, but of course starting a job involves stress...as does the final countdown to a 100-mile mountain race! So, with a lot of super important things swirling right now, I'm doing my best to remain calm and focused. Happily, last week I spent three nights at Keystone Ski Resort, elevation 9,200 feet, for a work-related conference! Going into Leadville, I'm so fortunate and blessed to be backed in words and deeds by Anne and our son, my mom and dad, and two dedicated, accomplished runners in Chuck R. and Scott W. who will be pacing me. Hopefully, AJ will be there, too, but he's getting over a knee procedure. Simply put, I couldn't do all the requisite training for these crazy races without Anne's love and support. I know for our family sometimes my training can get challenging (and annoying) at times. Their support means everything to me. My mom and dad will once again be there. No matter how old I get, my mom and dad are...my mom and dad. And so having them there is special. As I said to the crew, my fitness is without question my biggest asset going into Leadville. The last few years I couldn't have said that (especially last year). But this year I'm fit, as a result of weeks of 90-105 miles and 16,000+ feet of climbing. Of course, there's more to 100s than just fitness. I'm mentally dialed in and I want this race--every inch of it. I know it's going to require suffering and I'm ready, willing and able to hurt as I get closer and closer to the finish line. Last year, I wasn't in the mood to hurt...something that can happen to ultrarunners if you do this sport long enough (this is my tenth year). Fortunately, it was just a temporary problem for me. The emotional pain I've endured this year, as a result of last year's DNF, is more than enough fuel for me. While a "fast" time would be great, what I most want is a strong finish (read: my third big buckle). So, while I'm busily packing my "don't-drop" boxes and trying to think through all the needs that may come on race day, foremost in my mind are thoughts that I'm ready for this challenge and really all I need are my heart, mind and body...plus some rain gear! Yes, it's been quite a wet, cool late summer in Colorado, and so it'll be critical for all runners to be prepared for rain and cold. I'll try to post an update on Thursday or Friday. My MAF zone is 136-146 beats per minute per the 180 Formula (I just turned 40 but this year I'm sticking to 136-146 and will go down to 135-145 per my age on 1/1/2014). In MAF tests, you run 4-5 miles (ideally on the same course so you can measure your progress) at your top MAF number. So, for me, that means I needed to run 4-5 miles at 146 beats per minute--the top end of my aerobic zone. Just to make things interesting, I decided to tack on an extra mile and make it six miles at MAF. The 12-second difference between miles one and two probably indicates that I didn't allow myself enough of a warm-up. There shouldn't be that much drop off after mile one. Lesson learned. Next time I'll warm up for about three miles. Anyway, all of that comes out to an average MAF mile of 6:37. My effort level was fairly low, especially in terms of breathing (as it should have been). I then did a 26-minute cool-down, feeling good the whole way back home. I'm fairly pleased with the results of today's MAF test.